Everyone knows that New York City is the home of the best-tasting, most authentic bagels anywhere. So when the idea for Bruegger’s was born in in 1983, the first thing we did was head for the Big Apple. But our neighboring state played an important role, too. Real made-in-Vermont cream cheese provides the smooth, delicious foundation for a dozen unique blends you’ll find only in our bakeries. From Onion & Chive to Jalapeño to Bacon Scallion, there’s a spread to complement every bagel — and every craving. 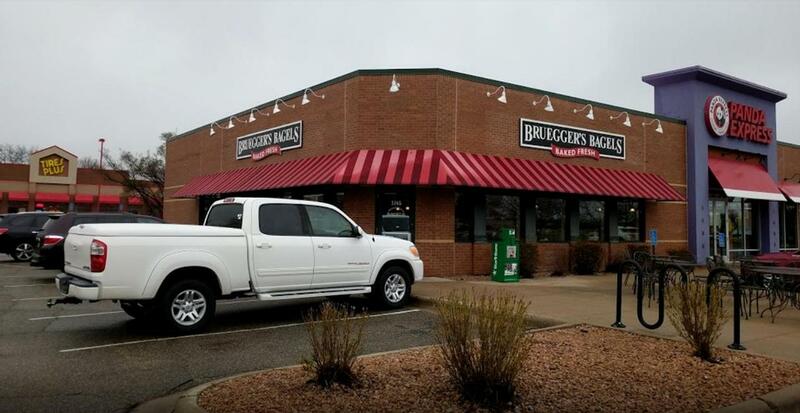 Now in our 35th year, Bruegger’s Bagels operates more than 260 bakeries nationwide. The menu has grown to include sandwiches for breakfast and lunch, garden-fresh salads, hearty soups, desserts and custom-roasted coffee — but the essence of Bruegger’s hasn’t changed. We’re still committed to serving genuine New York-style bagels and real made-in-Vermont cream cheese. Because that’s not just what we do; it’s where we come from.